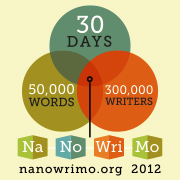 emily lam | blog: NaNoWriMo!! Hi everyone! I know, I am failing at blogging. I really do not know why. But I'm writing now to let the world know that I will be doing NaNoWriMo this year!! Click here if you don't know what Nano is. 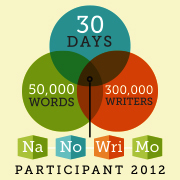 It's basically a crazy, intense challenge, where you aim to write 50,000 words in one month. Sounds easy? But not really. If you want to join, you will need to get started now. Nano is already in full swing! Alas, I am a little behind. But I will catch up today and hopefully get ahead. I need to get ahead. There is a week in November where I have three midterms in three days. So I know writing will be difficult during that time. But I am excited. I am really hoping this year will be the year I win it. Here's to turning off our inner editors and cranking out as many words we possibly can. It won't be pretty or coherent, but it'll be words. So, join me on this adventure!